Thea Proctor was an important figure in George W Lambert's life. Both friend and great admirer of his work, she was a prominent Australian painter, printmaker and teacher with whom he later jointly established the Contemporary Art Group. They had both returned to Australia in 1921 after two decades in England. Proctor had been a daily visitor to his home in London, and posed regularly for his portraits. Lambert's charming early portrait of his friend revealed his admiration for leading society portrait painters of the day, in particular Charles Furse. This was Lambert's first painting to be exhibited at London's Royal Academy in 1904, where it was prominently hung. Signed l.r. corner, red oil "GWL [monogram]". Not dated. Art Gallery of New South Wales picturebook , Sydney, 1972, 89 (colour illus.). Jean Campbell, Early Sydney moderns : John Young and the Macquarie Galleries 1916-1946 , Sydney, 1988, 40. Mary Eagle, A tribute to William Dobell , 'The strength of life', pg. 10-41, Canberra, 1999, 31. Juliana Engberg, Art and Australia (Vol. 35, No. 2) , 'Of his time', pg. 194-195, Sydney, 1997, 194 (colour illus.). Sarah Engledow', The world of Thea Proctor , 'The world of Thea Proctor', pg. 16-84, Canberra, 2005, 16 (colour illus. ), 27, 179. Art and Artifice: George Lambert (1873-1930) , 1996, cover (illus. ), 68 (colour illus.). Famous people: a selective who's who from works in the Art Gallery of New South Wales , Sydney, 1981, cover (illus. ), 14 (illus.). Cover Up: The art of magazine covers in Australia , Sydney, 1995, 92. Bruce James, Art Gallery of New South Wales handbook , 'Australian Collection: Painting and Sculpture', pg. 102-181, Sydney, 1999, 125 (colour illus.). Arthur Jose, The Art of George W. Lambert , Sydney, 1924, 11. Amy Lambert, Thirty years of an artist's life : the career of G.W. Lambert, A.R.A , Sydney, 1938, 38. Australian Encyclopaedia Vol. 6 , Sydney, 1996, 2334 (colour illus.). Jan Minchin, The prints: Thea Proctor , 'Thea Proctor: A biography', pg. 6-13, Sydney, 1980, 2 (illus. ), 6. The story of Australian art from the earliest known art of the continent to the art of today (Vol. 2) , Sydney, 1934, 5. 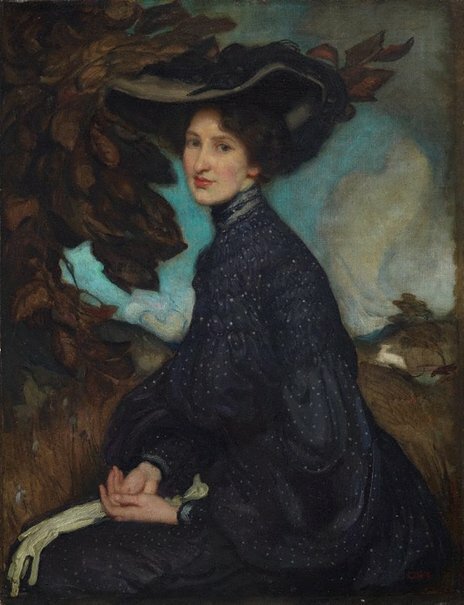 National Gallery of Australia, The Edwardians: secrets and desires , 'Society and exhibition portraits', Canberra, 2004, (illus.). Illustrates one of the works in the thematic room in Gallery 1: Society and exhibition portraits. Look , Sydney, Mar 2005, 4 (colour illus.). Colour advertisement for 'The world of Thea Proctor' exhibition, NGA, Canberra, 8 April - 19 June 2005. Masterpieces of Australian Painting , Sydney, 1984, 79 (colour illus.). The Art Gallery of New South Wales Picture Book , Sydney, 1972, 89 (colour illus.). Editor Unknown (Editor), Art and Australia (Vol. 28, No. 2) , Sydney, Winter 1990, 215 (colour illus. ), 216. To paint a war: The lives of the Australian artists who painted the Great War, 1914-1918 , Port Melbourne, 2017, 48 (colour illus.). Society of Artists book 1946-47 , Sydney, 1946-1947, 33 (colour illus.). Parade: The story of fashion in Australia , 'Edwardian Splendour', pg. 39-57, Pymble, 1998, 42 (colour illus. ), 43.